Micromax has left Samsung behind in growth rate in Indian market and their Canvas series smartphones are the main reason behind their success. So Micromax is taking a new tablet to the Canvas family for the first time. Yes, Micromax has just launched a new tablet called Micromax Canvas Tab P650 which is going to be available in India at a price of Rs 16,500. The major feature in the tablet is going to be its voice calling support. Let’s see what all are the specifications of this first Canvas tablet from Micromax. Micromax products are already doing well in the Indian market and this tablet is definitely going to be successful. The design of the tablet will also help it to attract customers since it inherits design from Canvas smartphones which is already popular among users. According to me, a quad-core processor, voice calling feature and Canvas name are the three most important features in this tablet which will help it a lot. 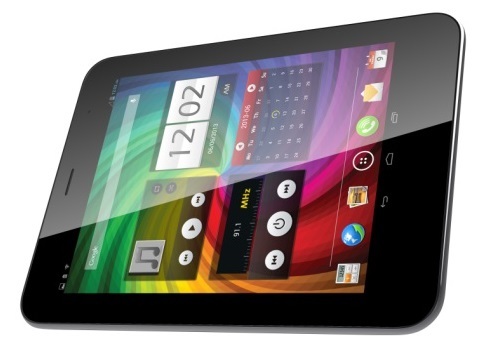 Earlier, Micromax also launched Funbook P255 at Rs 4,899 which was a budget tablet but running older version (ICS) of Android. But the Canvas Tab P650 is more mature than Funbook P255.